Maybe you can get away with a single Wi-Fi basestation, if you have modest needs, but with the arrival of 4K media streaming, home network bandwidth demands are growing quickly. AppleInsider shares a few tips on how to build out your network, and points out some problems to avoid along the way. 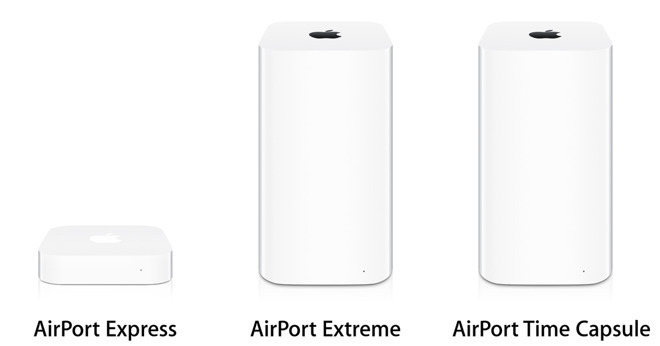 At AppleInsider we get asked a lot about basic networking and router setup and location, with a sudden flare-up after Apple announced that the AirPort lineup was dead and gone. While there are entire fields of study and engineering devoted to networking, there's no need to hit the books to set up a network for less than 10 people. There are some best practices and things to consider instead of just slapping another Wi-Fi router on a network, or extending the network another 20 feet with a cable and a switch. So, let's cover some basics if you're thinking about going beyond a single router covering your home or small office. This article is just an overview for beginners looking beyond just plunking down a single wi-fi router, so if you're an old hand at it, feel free to share your wisdom (but not what you're selling) in the comments section. We're also not really talking about best hardware in this article for your build, as that can vary dramatically from situation to situation. Because of the AirPort's discontinuation, AppleInsider will continue to look at third-party options for the gear. Even if you've had a network for a while, periodically, take a step back and make sure that it can do what you need it to do, and do it well. As buildings are put up around you and they get populated with their own gear, you may develop wi-fi dead spots. Also, as your family shifts rooms, you may have a concentration of gear where there wasn't one before causing connectivity problems. So, even if you've got a good setup, it could still get better. And, if you're starting from a single router and expanding, a prior plan of what you need is essential before you go shopping. If it's just you, plus maybe one or two other people in a small space, then one good 802.11ac Wi-Fi router is probably all you need. Most home networking gear's signals propagates in a torus, and is attenuated by dense building materials like brick, or a steel support beam. So, if you're using one Wi-Fi router, set it up as centrally in the house as possible. If the family has a common gathering area, this is an obvious place to put your router. But, the practicality of this may depend on what the ISP has arranged for you for a home penetration. While placement is important in relation to the user, the wireless signal could also be improved by manually selecting the right channel —even if your routers claim to do it automatically. 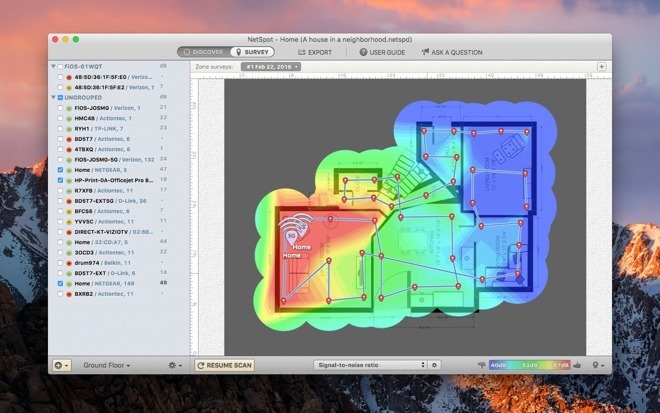 There are a few Wi-Fi survey apps for iOS and the Mac available on the app stores. Deciding which is right for you is left as an exercise for the reader. If, like in most homes, your primary internet drop is in the basement somewhere or along one wall of the house, then two or more basestations on opposite ends of the house or office might not be a bad idea. A possibility on your AirPorts and on third-party routers is extending range with the Wireless Distribution System (WDS) protocol. We've never been fans, because you're sharing wi-fi bandwidth between the routers or extenders. It can also be fussy across different manufacturers. If you're having problems with wireless reception in a nook or cranny of your house, either use Mesh networking hardware with discrete radios for communication between basestations, or an Ethernet backhaul instead. In the last few years, mesh networking hardware has debuted. 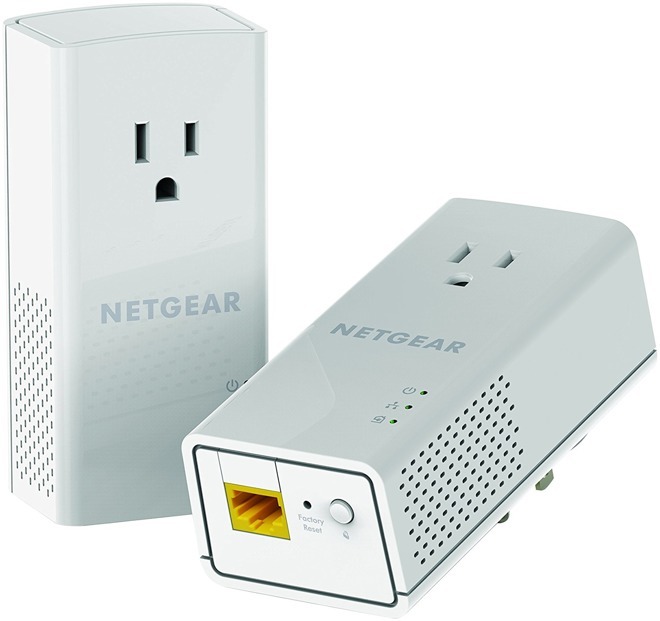 The most recent batch are designed to be plunked down in disparate areas of your house, with one connected to your cable modem or router provided by your ISP and the rest of the mesh routers connecting to that one. Skip the first generations of mesh networking hardware. They generally weren't any better than WDS connections between older routers, and had a price premium to boot. This was all rectified as the technology matured, and nearly all of the new gear has a dedicated Wi-Fi radio just for communicating between base stations. Individual setup depends on the manufacturer, but they are generally app-configured from an iPhone or iPad, and negotiate connections between base stations automatically. AppleInsider has examined the Google Wifi, Linksys Velop dual-band, and higher-end three-band systems and have found them easy to set up, with little maintenance or tweaking required. At present, mesh networking technologies are not cross-compatible, but the EasyMesh standard might smooth that out in the not too distant future. In multiple-device environments, even the newest, speediest Wi-Fi networks can get bogged down. While Wi-Fi devices claim "up to" speeds, in reality, they are almost never met and dependent on many factors for actual speed —including congestion. The highest traffic devices can be taken out of this equation with an Ethernet network. A number of modern homes are being built with them in place. But, if you've got an older home, or rent, running cables through walls can be problematic. 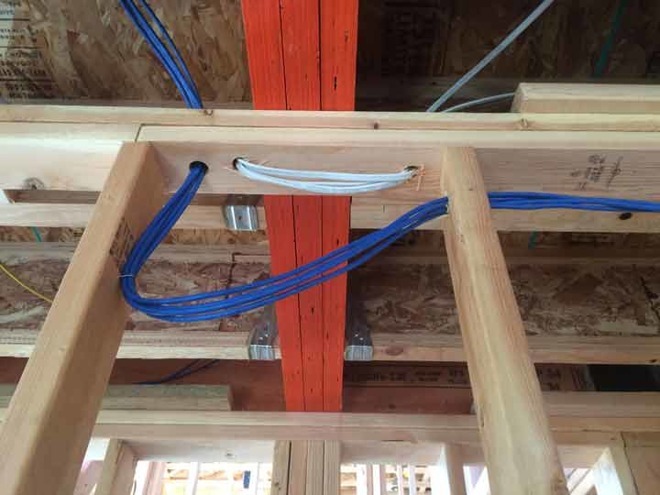 Running Ethernet is easy, before the drywall goes on. When running Ethernet cabling, pick Cat 6 cabling for future-proofing, and use higher quality cable. Instead of snaking cables through existing walls, consider "up and over" by running a cable from a utility room in the basement up to the attic, and down into closets of a bedroom, behind a kitchen cabinet, or something similar. If you have a basement with an open ceiling, between joists is a nice option too. But, while convenient, the whole house doesn't need to be wired in a hybrid wired/wireless network. Properly done, the real-world speeds on Ethernet are second to none. It will allow you to isolate an Apple TV 4K to wired, freeing up the wireless network for less bandwidth-profound impacts. Powerline networking uses the existing electrical wiring in your house to carry a "wired" signal elsewhere in the home. They have come a long way since they were originally released, but there are still caveats. As a general rule, you can only use two of them, connecting point-to-point. It is possible to connect more that two Powerline networking devices given the right manufacturer and hardware selection, but as it cuts into the already reduced bandwidth compared to Ethernet, it is probably better to stick to just two. What you can do is connect a Powerline spur of your network from your router to a switch on the other end of the house, say, behind a television or similar. Then, everything connected to that television, be it an Apple TV, second Wi-Fi base station, game console, or what have you, can be on a wired connection back to the main router. Or, if there's a particularly difficult run, use Powerline to hurdle two close walls without drilling a hole. If you need to use PowerLine as a backbone so you don't have to run a cable through your attic or basement, don't cheap out. Get the fastest one you can afford, because if you're using it as a major conduit from one location to another, you want the fattest pipe possible. The speed and quality of the signal varies greatly depending on the house's wiring and a few other factors. For example, if the adapters are plugged into completely separate electrical circuits in a home and having to go through the house's breaker box instead of on the same run, you'll see cut-back speeds. How much depends on how bad the connection is. The technology can also be prone to electrical interference in a variety of ways, including poor quality wiring for the sockets and in some cases the turning on or off of large appliances, such as refrigerators and microwave ovens. If you own your home, a MOCA network is a possibility. This will use the coaxial cabling for existing cable TV service in your house as pre-run network cabling, similar to Powerline plugs. And yes, unless you have AT&T's cable, and never had any other, you're good to go, even with an existing service. But, we've never had great success with this. The speed and quality of the connection depends a great deal on situations beyond most homeowner's control. Something as simple as a low-quality coaxial cable splitter in a wall somewhere, or old cabling can completely torpedo the whole affair. The best home network can still crumple under load, but this can be mitigated somewhat. While the vast majority of the traffic comes from the router, the destinations can be a chokepoint, causing problems downstream. When you're building out an Ethernet network, it shouldn't be a line of cabling and switches. A hub and spoke design is far better than a line. Also, if you have a network attached storage (NAS) device on the network, consider where it should go. It's not always best to have it next to the router, even though that's a central location. If its being used for media streaming, it may better serve the intended audience closer on the network to the main streaming device. As video shifts to higher and higher resolutions, and to a streaming audience, more strain will be put not just upon the streaming companies, but on ISPs and home networks as well. A single 4K HDR video can require about 8 megabytes per second to stream without buffering, and in our own testing we've seen peak traffic at 12 megabytes per second. 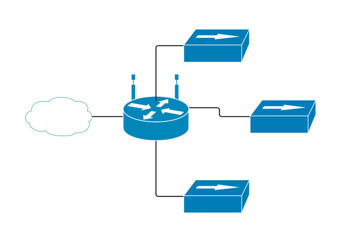 Stack multiple streams up at once on the same LAN, and it can quickly bring an network to its knees. It would be a shame if your network couldn't handle it.